The What: Premier Mounts has launched of an online smart tool to increase the efficiency of conceptualizing prospective AV and digital signage projects. The What Else: The interactive online LED Configurator will allow prospective clients and customers to generate an immediate image of what a new LED panel project may look like by inputting information such as the brand, display, model, wall dimensions, array size, structure, etc. The wall display will appear with the height references of both male and female. This process allows for prospects to get a first glimpse of their potential project all with the click of a button. Upon submitting project details, an inquiry page will appear at the end of the module where interested prospects can ask for a project quote. Prospects will then receive a unique confirmation number and be contacted within 24 hours of submission. 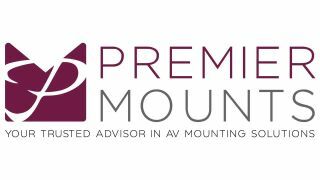 For those who do not have all the information, they can be connected to a Premier Mounts design specialist for further assistance.